New Subaru and Used Car Dealership near Martinsville, VA - Nelson Subaru serves Eden and Danville. At Nelson Subaru, we take great pride in serving our Subaru enthusiasts from the Martinsville, Eden, Danville and Bassett areas. We will do everything in our power to make your car buying experience as enjoyable as possible. Stop by and see us today, we are located at 4730 Virginia Avenue, Bassett, VA and we'd love the chance to earn your business! 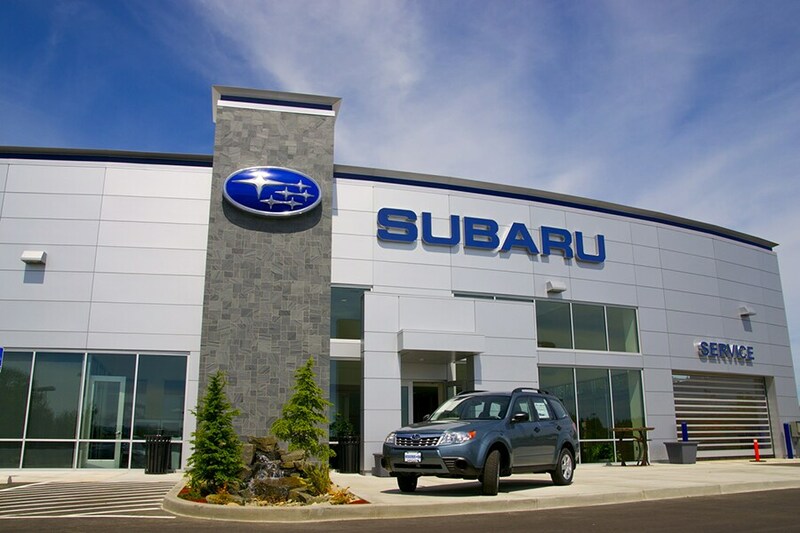 The certified Subaru team here at Nelson Subaru are experts in our 2018-2019 Subaru vehicles, like the Legacy, Impreza, Crosstrek, Forester, Outback, WRX, and the All-New 2019 3-row Subaru Ascent SUV. The reason why so many Martinsville area drivers choose Nelson Subaru is because of our dedication to each of our valued customers and our commitment to excellence. With competitive prices and a wide selection of new and used Subaru cars, you can save time and money by visiting Nelson Subaru first. We have a large inventory of the most popular Subaru vehicles, like the new 2018-2019 Legacy, Impreza, Crosstrek, Forester, Outback, WRX, and BRZ. Once you select the new Subaru model right for you, we encourage you to schedule a test drive to discover just what makes a Subaru a car-enthusiast's fan favorite. If you're looking for a certified pre-owned or used car near Martinsville, you've come to the right destination. Our greater Martinsville, Eden, Danville and Bassett used car dealership maintains a vast selection of pre-owned Subaru and used cars from many of today's top manufacturers. Whether you're looking for a used car, SUV, truck, or van, we're sure we can help you get into your next like-new used car. Be sure to search through our used inventory to find your ideal vehicle, and click on the Reserve Price button to save big on your pre-owned vehicle of choice. If you're looking to secure a low interest car loan in greater Martinsville our Finance team at Nelson Subaru can help you find a great finance option that works for you. We've helped many customers from the Eden, Danville, and Bassett, VA areas find an affordable loan that fits with their budget. We work with several financial institutions to help you secure a great rate on a new or used car from Nelson Subaru. So utilize our Auto Finance Center today to not only secure a good financing package, but to have our financial experts explain your options in a way you can understand. For car repair in the Martinsville area, our professional auto technicians will help diagnose your vehicles issues then complete the right way. Our goal is to help keep your car on the road for the long haul, so bring your car in and let our service and repair team get to work. If you're the D-I-Y type, and would rather complete the fix yourself, we highly encourage that as well. We are a supplier of certified Subaru car parts, and can help you find the right parts needed for even the toughest fixes. Our service and parts departments serve drivers from the Martinsville, Danville, Eden and Bassett areas. Need help getting to Nelson Subaru? Call today at 276-647-1775, or click here to get directions to our dealership at 4730 Virginia Avenue, Bassett, VA. Serving: Martinsville, VA, Bassett, VA, Eden, VA, Danville, VA.